Gordon Ritchie, the envoy who negotiated Canada's first free trade agreement with the U.S., says the biggest losers in a potential trade war would be consumers on both sides of the Canada-U.S. border. After months of negotiations, we still have no idea whether it will be possible to negotiate a new North American Free Trade Agreement (NAFTA) with the U.S. This week's developments made it even less predictable. President Donald Trump said he would impose tariffs on foreign steel and aluminum entering the U.S., then he agreed to back down on that threat for Canada and Mexico, but on one condition: that they agree to U.S. demands at the NAFTA talks. 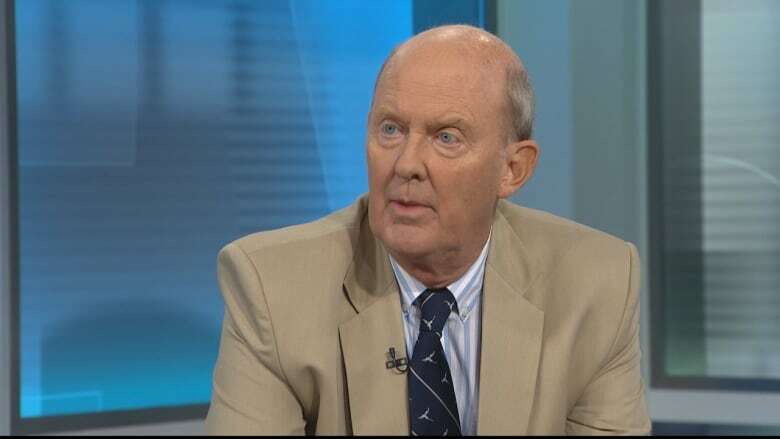 Speaking to The Sunday Edition's Michael Enright, Gordon Ritchie accuses Trump of willful ignorance and says Canadians should not underestimate the damage he can cause on both sides of the border. Gordon Ritchie, who negotiated Canada's first free trade agreement with the U.S., says the Liberals have done 'exactly what I would have wanted them to do' in terms of the NAFTA negotiations. (Power & Politics/CBC)Ritchie served as Canadian trade ambassador when we signed our first free trade agreement with the Americans in 1988. And he was an advisor four years later, when Canada signed NAFTA, the trade pact that included Mexico. Here are excerpts of his conversation with Michael Enright. Listening to the current occupant of the Oval Office, what do you make of it all? It's a very strange and highly counterproductive atmosphere and I don't envy minister Freeland and the negotiators. 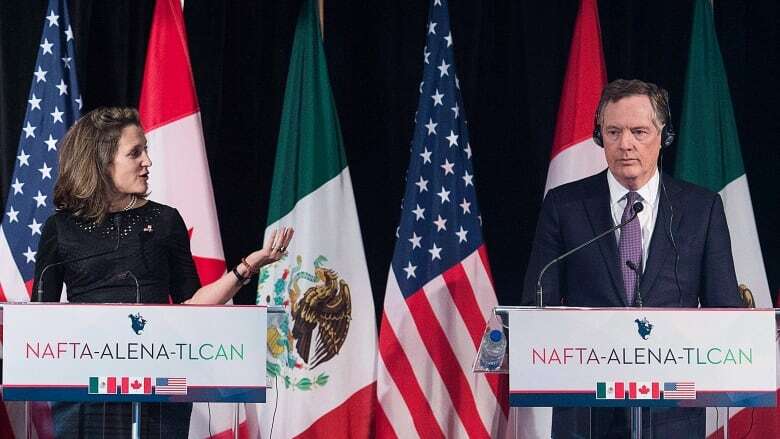 When he says that Canada and Mexico will be exempt depending on what happens in the NAFTA negotiations, that is both a promise and a threat I take it? First of all, given that the legal basis for them doing this silliness on aluminum and steel is national security, you can't then turn around and say we'll forget about it unless something else happens in some other negotiating forum. I mean he's just completely undermined his case. It's like when he and his staff went to great pains to say that the Comey firing had nothing to do with Russia. And then he goes on television and explains it had everything to do with Russia. Well let's pursue that for a moment. Is free trade with Canada, and I'm saying this with a straight face or trying to, is that a security threat to the United States? I'm glad you can't see my face because I couldn't keep a straight face at that suggestion. Of course it's not. Ever since Roosevelt and King did the defence sharing agreements, Canada and the U.S. have been intimately linked to our mutual advantage, in defence production sharing arrangements of various sorts, to the point where I think technically we're actually — as far as the U.S. is concerned — part of their military industrial complex, which may come as a shock to some Canadians. But to call us a security threat is just silliness. Surrounded by workers from the steel and aluminum industries at the White House, U.S. President Donald Trump announced a presidential proclamation placing tariffs on steel and aluminum imports on March 8, 2018. He exempted Canada and Mexico, fellow NAFTA members, in the eleventh hour. (Leah Millis/Reuters)He says that Americans are perpetually in a trade deficit with Canada. Is he right or wrong? I mean that's nonsense. The last statistics we have from the office of the U.S. trade representative clearly demonstrate that the U.S. runs a surplus with Canada. It's about a $12.5 billion deficit on goods about a $25 billion surplus on services. So the U.S. is running a surplus with Canada of $12 billion in the latest economic report which Mr. Trump signed. There's really no argument about the facts. There was a lot of attempt to blow smoke. Why do you think he's targeted the steel and aluminum industries? After all they represent only about 2 percent of U.S. imports. GR: Well there is an important election coming up in Pennsylvania — that's right next week. But we're talking about an administration led by a president who really is so far out of his depth, you can't see the surface of the water. He has no understanding of international economics. It beggars belief. But the GOP must have some understanding because they traditionally have been a free trade party. You have over a hundred Republicans in the House sending a letter asking the president to back down, the speaker of the House Paul Ryan, his senior economic adviser Gary Cohn walked out the door, even Mike Pence was urging the president not to go this route. What has changed? Why is the GOP going this way? Well I don't think the GOP has gone this way. I think you have Mr. Trump and his White House with Peter Rabbit whispering in his ear. But the GOP has not changed its position on this. That said, when push comes to shove, you know as well as I do what spine the GOP has shown in standing up to Mr. Trump on a whole range of issues in which conservative Republican belief runs smack up against the leader's blathering over the occupant of the Oval Office. George W. Bush in the White House in 2002 imposed tariffs on steel. He dropped them a year later. How did that go? The impact domestically on both countries was actually fairly negligible. These are largely political gestures. You have to understand, as unfortunately Mr. Trump and Peter Rabbit don't, that it's not about the U.S. versus Canada. It's about U.S. producers versus U.S. consumers. When you put up tariffs — and the same applies to Canada — when we maintain high tariffs, as we do in dairy for example, it is of some modest benefit to the producers of milk, but it is a very substantial cost to Canadian consumers. And the same is of course true of the United States when they slap these ridiculous duties on softwood lumber. Guess who pays. It's not the Canadian consumer who pays. It's the American consumer. 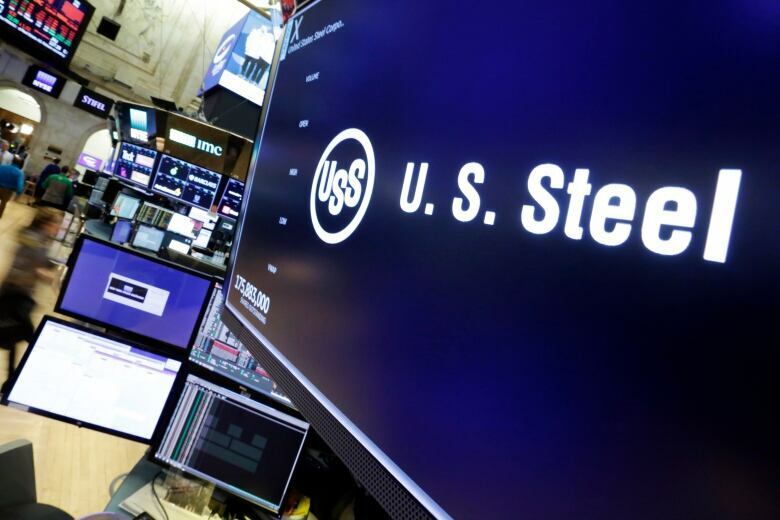 Canada is the biggest customer of U.S. steel. (Richard Drew/Associated Press)But if you're face to face with the Americans and, as you say, they're going to take your lunch or twist your arm, how do you respond? It's extremely difficult. There's a difference between what you think and what you say. What you think is this is about the most ignorant misdirected nonsense that we've heard in a long, long while. What you say is let's work out something constructive in the interests of both parties with a win-win-win agreement etc. etc. But there's nothing to be gained from saying to Mr. Trump or to his attack dog, Mr. Lighthizer, 'You do realize you're spouting absolute nonsense.' What you do is you just smile and you move along. You went a bit further in the Globe and Mail last week, saying that Canada should go after some of the swing states, some of the Trump states, and ding them where it hurts, kick them in a certain part of the anatomy. You were kind of tough on those areas, in Wisconsin and Michigan and Pennsylvania and so on. Absolutely. 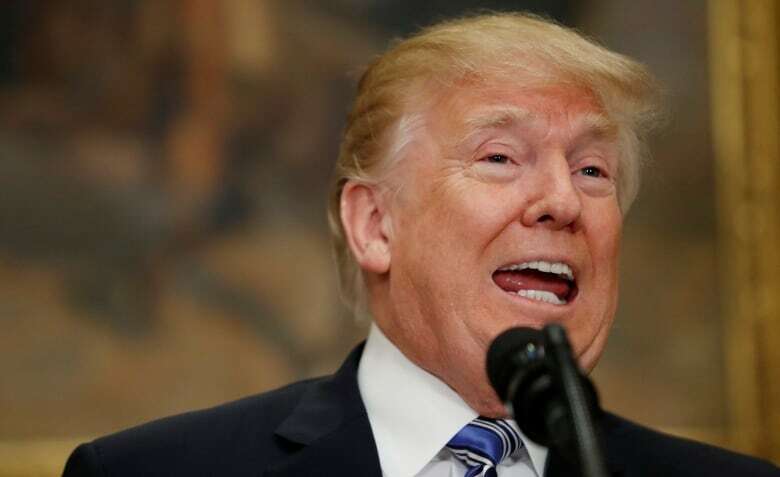 And that was in response to the question of, if the Americans go ahead and impose these tariffs, then what should we do and the answer is of course we should retaliate immediately and forcefully and on areas that will be painful. I mean that's why the great interest in Kentucky bourbon. And the Harley Davidson motorcycle. The majority leader of the Senate happens to be from Kentucky and the speaker is from Harley Davidson country. But that's what you do in those situations. But you do it with great regret…We can play dumb too. I mean it's dumb to impose those kinds of tariffs. It would be dumb to impose tariffs on Bourbon or on motorcycles. It would cost the Canadian consumer. But that said you can't allow them just to casually violate all of their commitments and take a completely illegal action against your producers. I think Canadians should understand that we are under attack. We are under attack. This isn't Munich, this latest thing. We are under attack. And the result of Mr. Trump's occupancy of the White House will be that Canadians will enjoy a lower standard of living, lower rates of growth, and lower employment than otherwise would be the case. And that's almost irrespective of how it plays out — just the threats alone are enough to chill investments in Canada and encourage companies to look at the big market, where there's less border risk, than to put stuff in Canada. And it's not really a consolation to know that the Americans will be hurt worse, although because they're bigger they will feel it less. Since Mr. Trump came to office, the deficit has increased significantly, the trade deficit. I don't think that's important, but he does and I can tell you I would be prepared to bet my shirt that by the time he steps down, even after one term, the U.S. trade deficit will be significantly larger than it otherwise would have been because of the array of his economic policies, including these misguided trade policies. So what he's doing is, in fact, going to inflict a lot of pain on a lot of Americans, but they're going to be less aware of it. And of course the spin doctors…well it's much easier to make the case, 'Oh well, if we slap those nasty foreigners, your jobs will come back in the coal industry and the steel industry and the aluminum industry,' you know, completely forgetting the impact of technology and environmental change and what have you. I'm fascinated. Have you ever used the phrase the country, Canada, is under attack? We're talking about trade negotiations with the U.S.. That's pretty strong language. I have never felt that to be so strongly the case has now. 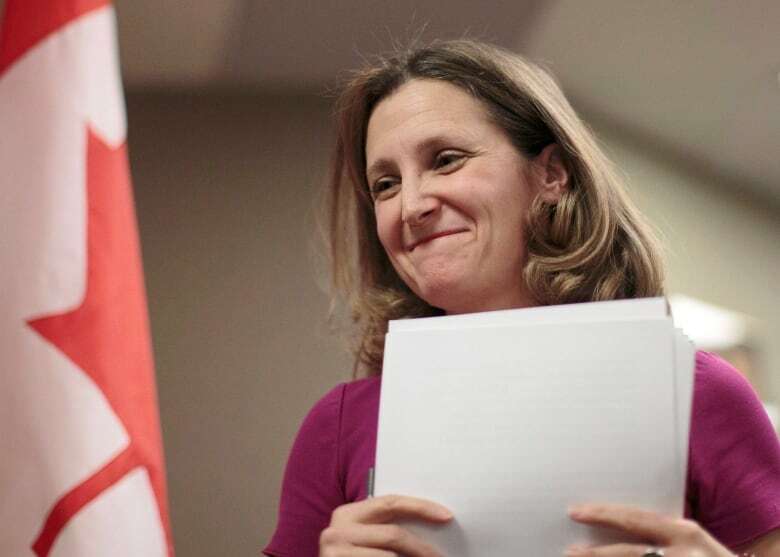 Foreign Affairs Minister Chrystia Freeland says the lobbying campaign will continue until duties are permanently lifted. (Chris Young/The Canadian Press)If Canada were to say to Mr. Trump and the Americans, 'Shove your blackmail threats, we're not interested.' And, in turn, he pulls out of NAFTA and NAFTA dies, is the sky going to fall over this country? Just the fact of having that administration and that mood in the United States means that Canada will face diminished economic prospects if the U.S. were to pull out of NAFTA, and nothing were put in place. And if they were to impose these latest bizarre tariffs, then there's no question that there would be an adverse impact on Canada and we would feel worse than the United States would feel it. And there would be a lot of political pressure and there would be a great deal of temptation here in Canada for demagogues to argue that we should roll over and play dead for the Americans or that we should beat our chests and stand up and shoot ourselves in various portions of our anatomy. So I don't mean to sound Pollyanna-ish about this. It's not a good prospect, but the fact is that there is very little that the Canadian government can do if the U.S. administration is bound and determined to blow up the system. And what they can do, they've been doing, and they've been doing it very capably. I have no stake in their success beyond that of a Canadian. I am not advising them. I'm not part of their inner circles, but I've been a very close observer of what they've been doing and I think they've been playing this just about exactly right. Gordon Ritchie's comments have been edited and condensed. Click 'listen' above to hear the full interview.